Is it a better choice to purchase the remanufactured cartridges? The industry of printer manufacturing has been flourished a lot and people are realizing the need of reusing and refilling ink and toner printer cartridges. The manufacturers are promoting the cause of collecting the empty ink cartridges so that they can be reused and less waste could be produced. Once the ink cartridges reach the manufacturing units, it is seen whether they should be used in remanufacturing or not. Even the defective ink cartridges are recycling. The components that are good in condition are reused and those that are not are dumped away. These cartridges are broken into components so that the usable parts can be consumed. The parts that can be used are assembled, cleaned and they are provided to the assembling units where they are used in either the making of the new cartridges or the remanufactured lot. In both the lots, new toner ink is added and cartridges are tested to see if they are good in quality or not. Even the leading manufacturers are also using the same technique for making these remanufactured cartridges. 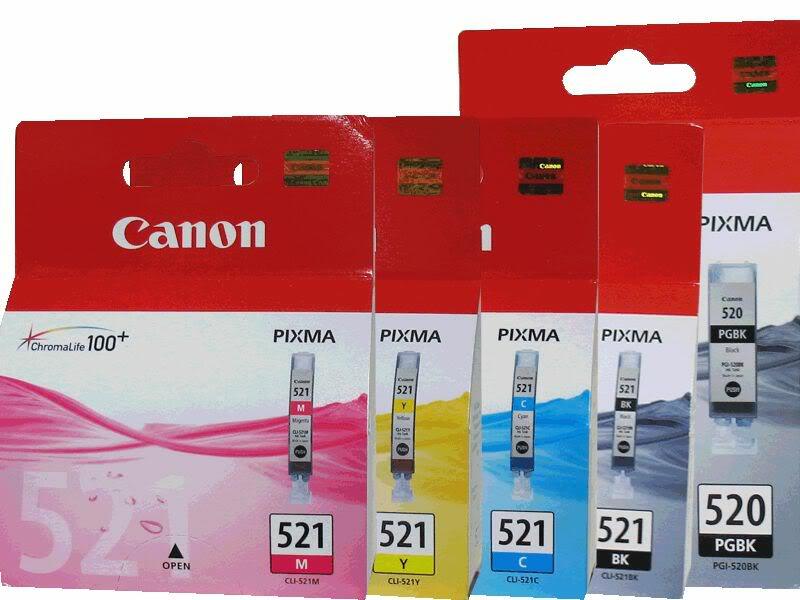 If a cartridge is remanufactured then it can produce the same quality print and it can even produce the same page yield as that of the original cartridge. Now, one third of the business nation has started to use these remanufactured printer cartridges because they are cheap and they can produce the same quality prints. In this way, they are able to reduce the cost of the office supplies and they in turn are promoting the green environment for their business. Do you know that each year 350 million plastic cartridges become a part of the landfills in this whole world? The waste creation cannot be stop by the remanufacturing industry alone. If the OEM companies also contribute in this effort, then this waste can be managed from this world. With the manufacturing of these ink cartridges, oil and other resources are wasted one massive level. The revenue of the printing industry is huge. It is the only industry, which has chances of growing in the coming years, thus, the use of printers is going to increase to a greater level. If these OEM manufacturing companies also get involved in recycling, then it can get really easy to get rid of the landfills. When more and more remanufactured cartridges will be produced, the waste from the landfills is going to be reduced. There are companies that do ask the users to return the empty cartridges but they are also dumped instead of being reused. This has been happening in many countries. The empty cartridges sent to the manufacturers are shipped to the electronic wastelands and nothing from them is recycled at all. This is quite devastating. Consumers are ready to recycle but they do not want to compromise on quality because they think the remanufactured cartridges are low in quality and they can damage the performance of the printer. This has literally happened with lots of people too because they had purchased these remanufactured cartridges from unreliable providers. If with cost saving benefits, consumers are guaranteed that the printer cartridges are going to be high in quality and their use will not damage the printers, then maybe they will start purchasing these cartridges even more. They surely are less costly than the OEM cartridges but the problem lies in quality and reliability. There are some goods points of these remanufactured cartridges too. Do you know that the remanufactured cartridges can last longer than the original ones because they contain 20 percent more ink? The OEM cartridges are not completely filled. This means along with saving money with the remanufactured cartridges, you are also going to make the most of the inkbottle. Most of the OEM manufacturers would recommend you not to use the remanufactured cartridges by saying that they can damage your printer. They may say this in order to maximize their profits. No manufacturer can guarantee you the cartridge will never fail. Even your OEM cartridge can stop working in between. So, this means that you cannot trust the OEM manufacturers also. If you can find the remanufactured ink cartridges from a trusted provider then you can get rid of uncertainties because they are going to be good in quality and they will not even damage your printer. A point to note here is that at one hand the OEM manufacturers say that you should use not the remanufactured ink cartridges. Then how can they help you in recycling? If they ask you to provide the empty cartridges then it means that they will be making remanufactured ink cartridges. Then the question that may strike you here is that should you use the cartridges manufactured by them as they are going to the remanufactured ones? This does not make sense at all. So, we can say that these are all the tactics of the OEM companies who don’t want consumers to shift on purchasing the remanufactured cartridges. If consumers start purchasing the remanufactured ones then this is going reduce the profit of the OEM companies. You can also go for the option of refilling ink cartridges. There are refilling stations available that can refill the empty ink cartridges too. If you want to purchase some quality inkjets and cartridges then click here for inkjets available at Cartridgeink. You might find discount and other great deals on these ink cartridges. I will better opt for Ink Tank type printers. They last longer and are cheaper. I really recommend Epson for Ink tank printers.